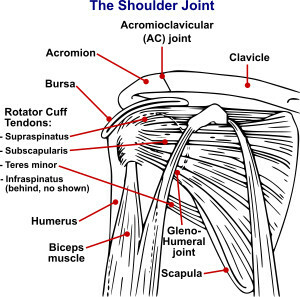 The Painful Arc Test is commonly used in orthopedic examination of the shoulder to test for impingement of the supraspinatus tendon and/or the subacromial bursa underneath the acromion. This test is performed with the patient in sitting or standing. The patient’s arm is in neutral rotation. In this position, the patient fully abducts their arm in the scapular plane. The Painful Arc Test is considered positive for supraspinatus impingement if the patient reports pain between 60 degrees and 120 degrees of abduction. Pain should reduce after 120 degrees of abduction. 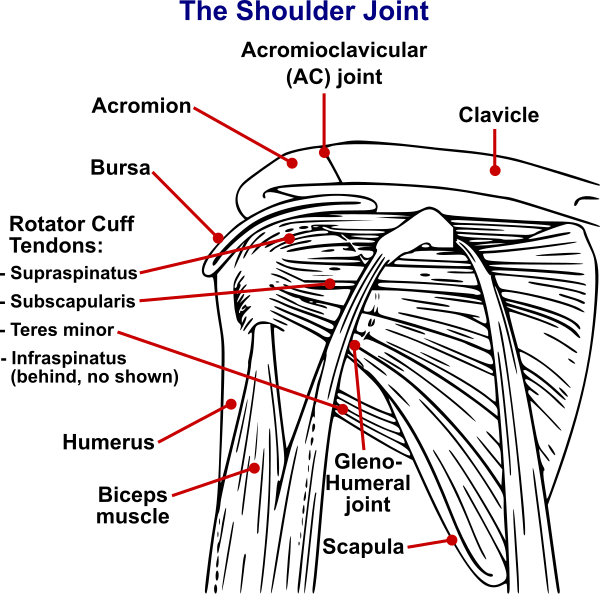 If the patient instead reports pain at the end of abduction, acromioclavicular joint dysfunction is indicated. The Painful Arc Test for subacromial impingement is considered to be a fairly accurate test.